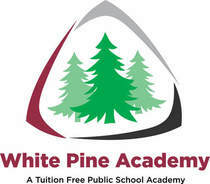 White Pine Academy conducts the required number of drills according to Michigan State Law. Over the course of the school year we conduct 5 fire drills, 3 lockdown drills, and 2 take cover tornado drills. White Pine Academy also conducts monthly playground equipment checks as required Saginaw Valley State University our authorizing university.